The Amish, following a core religious principle known as nonresistance, were opposed to military service along with other forms of participation in government such as holding public office. 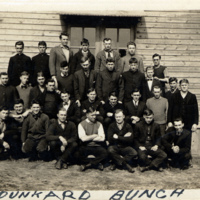 Most Amish men drafted during WWI became C.O.s. The Herold der Wahrheit published these statements: “We again encourage our brethren not to accept any service, either combatant or non-combatant, under the military arm of the government in violation of their conscience and the creed of the Church” (15 September 1917) and “We can’t have anything to do with the war machine whatsoever” (1918). The Apostolic Christians held a doctrine of nonresistance, refusing to perform military service. However, most members accepted noncombatant status in the two world wars. In 1862, forming the official church known as Brethren in Christ, church leaders wrote “a statement of their belief in nonresistance for presentation in Washington” (796). In 1874, the Brethren of Christ wrote in a Confession of Faith: “…it is not the Christian’s privilege to take up the sword or fight with carnal weapons, yet it is his duty to be strictly loyal to the Government under which he lives, in all things that do not conflict with, or are not forbidden by the Word” (906). There was no papal pronouncement on war and peace, and it was a matter of personal decision whether to participate in war or not. Source/s: “Conscription and the Conscientious Objector” in the Conscientious Objection/Objectors Subject File, Swarthmore College Peace Collection. Source/s: New International Encyclopedia (1922). Dodd, Mead Co.); “Census of Religious Bodies” (1936); U.S. Department of Commerce, Government Printing Office; “Christadelphians: Denominational History Covering a Period of Ninety (90) Years” in the Conscientious Objection/Objectors Subject File, Swarthmore College Peace Collection; “The Historic Position of the Christadelphians as Religious Conscientious Objectors” in the Conscientious Objection/Objectors Subject File, Swarthmore College Peace Collection; “Declaration and Articles of Association of the First Christadelphian Ecclesia of Baltimore, MD” in the Conscientious Objection/Objectors Subject File, Swarthmore College Peace Collection. Although some leaders considered war as totally incompatible with Christian discipleship, there was no official position from the various groups within the Churches of Christ sect. Each man was to decide for himself what he could conscientiously do in the light of his best understanding of God’s will. Source/s: Pacifism in the United States: From the colonial era to the First World War by Peter Brock (1968); “The Decision is Yours” by Huber F. Klemme in the Conscientious Objection/Objectors Subject File, Swarthmore College Peace Collection. Officially, the Church of the Brethren held a nonresistance doctrine, stemming from religious pacifism. It was considered one of the Historic Peace Churches. Source/s: “A Statement of the Position of the Hutterian Church: Our Position on Military Service” in the Conscientious Objection/Objectors Subject File, Swarthmore College Peace Collection. Source/s: Pacifism in the United States: From the colonial era to the First World War by Peter Brock (1968); “Conscience and the War,” Zion’s Reprint, 15 July 1916, from “The Association of Bible Students: Its Historic Position Toward War” in the Conscientious Objection/Objectors Subject File, Swarthmore College Peace Collection. Judaism recognized the right of the conscientious objector to claim exemption from military service in any war to which he could not give his moral assent, and pledged support. Source/s: “The Jewish Conscientious Objector” in the Conscientious Objection/Objectors Subject File, Swarthmore College Peace Collection. In its attempts to show its members as patriotic, during a time when anyone with German ancestry was suspect, Lutherans were likely to join the military without question. Source/s: “Peace Perspectives” by Derek Suderman (1955, 1989) in the Conscientious Objection/Objectors Subject File, Swarthmore College Peace Collection; “Conscientious Objection” by Guy F. Hershberger, Albert N. Keim, and Hanspeter Jecker in the Conscientious Objection/Objectors Subject File, Swarthmore College Peace Collection; Mennonite General Conference. Report of Tenth Annual Meeting held at Yellow Creek Mennonite Church near Goshen, Ind., Aug. 29 and 30, 1917. Scottdale, Pa.: Mennonite Publishing House, 1917. This strain of Mennonites (based primarily in the midwestern and western states of the U.S., and made up of many Russian immigrants) was not as strictly nonresistant. Most of its members became noncombatants. 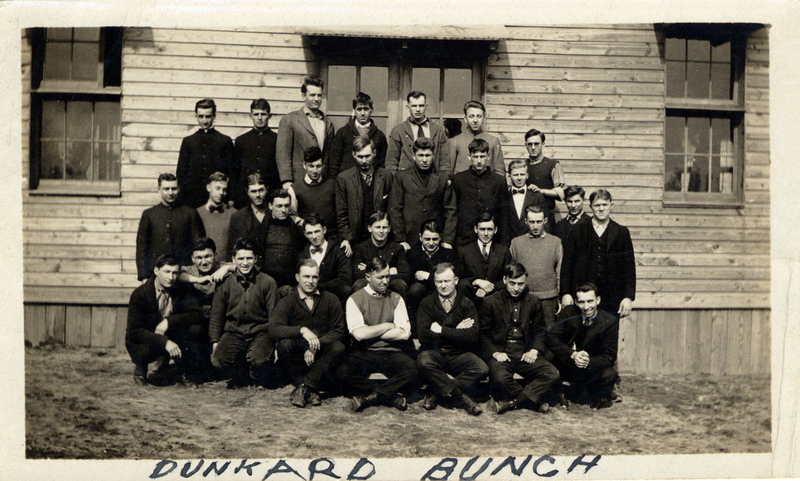 The Methodist Church had a few conscientious objectors among its ranks, but the great majority of its men participated fully in the war effort. Members of this sect were forbidden to take part in the carrying of arms and in military service. Those who lived in California registered for the draft, and were exempted as (Russian) resident aliens [? ], but those in Arizona obeyed their leader’s vision that the Holy Spirit forbade registration. 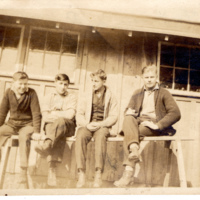 In the end, six from this group were sent to camp and then to prison, enduring much abuse. Source/s: “Molokan C.O. Information” in the Conscientious Objection/Objectors Subject File, Swarthmore College Peace Collection; True Believers: Prisoners for Conscience. 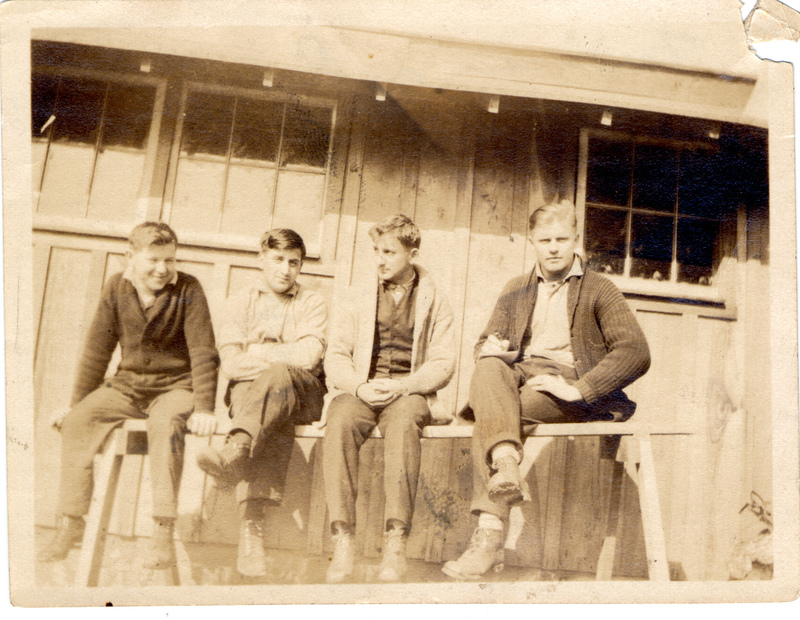 A History of Molokan Conscientious Objectors in World War One by Alex F. Wren. The official position of the Church of Jesus Christ of the Latter-Day Saints was that conscientious objection was a matter to be decided by the individual. Source/s: “War, Conscription, Conscience, and Mormonism” in the Conscientious Objection/Objectors Subject File, Swarthmore College Peace Collection. This group believed that Christ had forbidden to his followers the swearing of oaths and partaking in war. Source/s: “Discipline and General Rules of the Pentecostal Fire-Baptized Holiness Church” in the Conscientious Objection/Objectors Subject File, Swarthmore College Peace Collection. Source/s: Pentecostal and Holiness Statements on War and Peace, Beaman and Pipkin (156-157). The Plymouth Brethren accepted noncombatant service as the best way to resist war duty but also be involved in helping others. “The Christian is to obey the Government wherever he can without disobeying the Word of God. There are many ways in which he can do this without misrepresenting Christ. There are lines of duties, as clerical, ambulance service on the field of battle, ministering to the wounded and dying in the hospitals – ministering Christ, as we minister to the body. Above all, let us put away from us any spirit of cowardice – whether it be physical dread of danger, or moral cowardice which fears mockery, and to confess Christ and His word” (1917). Source/s: “Should a Christian Go to War?” by Samuel Rideout in the Conscientious Objection/Objectors Subject File, Swarthmore College Peace Collection. The Friends were considered one of the Historic Peace Churches. “We feel bound explicitly to avow our unshaken persuasion that all war is utterly incompatible with the plain precepts of our divine Lord and Law-giver and the whole spirit of His Gospel, and that no plea of necessity or policy, however urgent or peculiar, can avail to release either individuals or nations from the paramount allegiance which they owe to Him who hath said, ‘Love your enemies’ (Matt. 5:44, Luke 6:27” (28). “Friends, the Religious Society of (Quakers)” in the Conscientious Objection/Objectors Subject File, Swarthmore College Peace Collection. Adventists did not consider themselves to be conscientious objectors as much as noncombatants. Most were not particular about their noncombatant assignments as long as it did not require bearing arms. Source/s: “Conscientious Cooperators: the Seventh-Day Adventists and Military Service, 1860-1945” (1970) by Roger Guion Davis in the Conscientious Objection/Objectors Subject File, Swarthmore College Peace Collection.